How Do I Add A New User to ClickPay? You can add a new user to your account at any time. You can set users up as Landlord Admins, Site Admins or LLC admins. 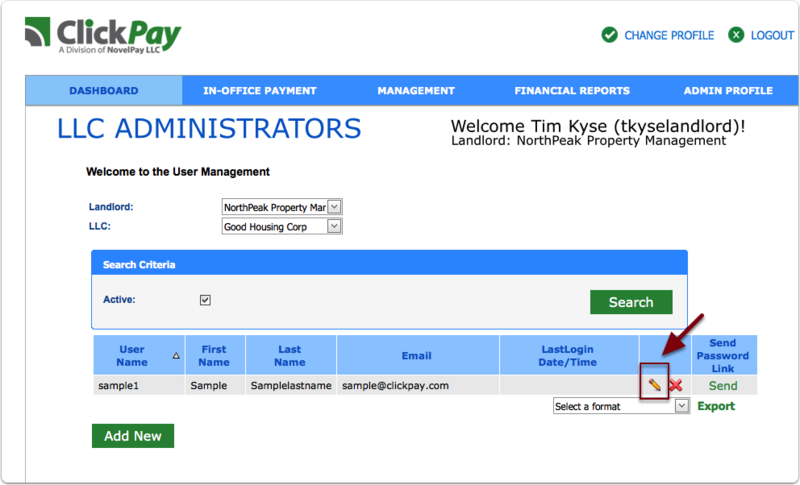 Please note, you must be a landlord admin already setup in ClickPay in order to add additional users. 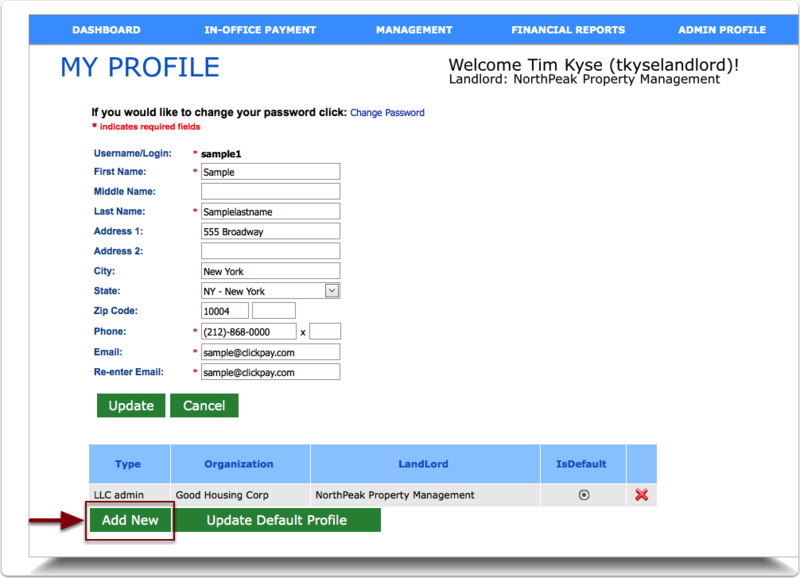 Landlord Admins-This level of administration rights gives full level access to the user across all properties. Users can block units from making payments, initiate In-Office Payments , run reports and download payment files. 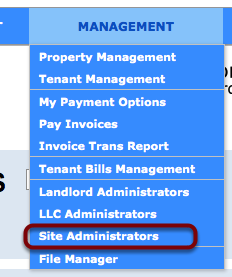 Site Admins-This level of administration rights gives access to users for their buildings only. Users can block units, initiate In-Office Payments and run reports. This level of access denies users access to file manager and the ability to download payment files. LLC Admins-This level of administration rights gives access to users just to the report functionality. Users cannot block units, initiate one time payments or have access to file manager. This is a view only right. You can add a new user to your account at any time. 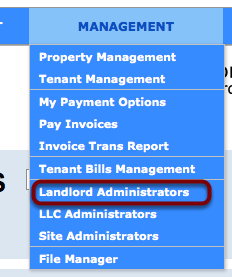 If you want them to have top level access to all of your properties, you may set them up via Landlord Administrators under the Management tab. 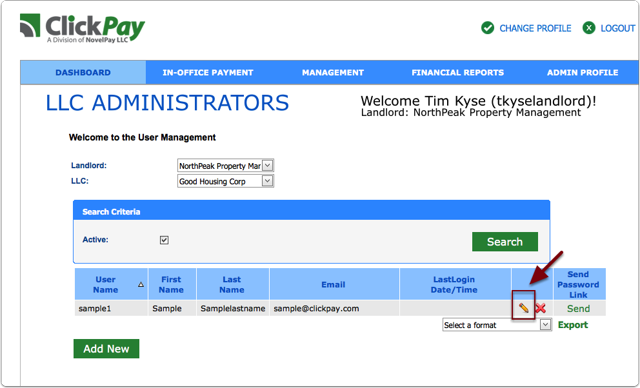 If you want to give a property manager access to certain buildings to make admin changes, please set them up via Site Admin under the Management tab. 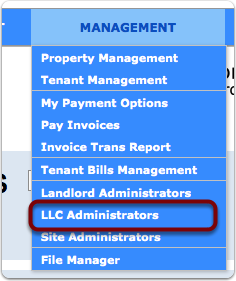 If you want to give staff members access to particular LLCs for viewing purposes only without giving them the ability to make changes, you may add them via LLC Administrators under the tab. How do I Utilize Invitation Wizard? How do I add properties to ClickPay?